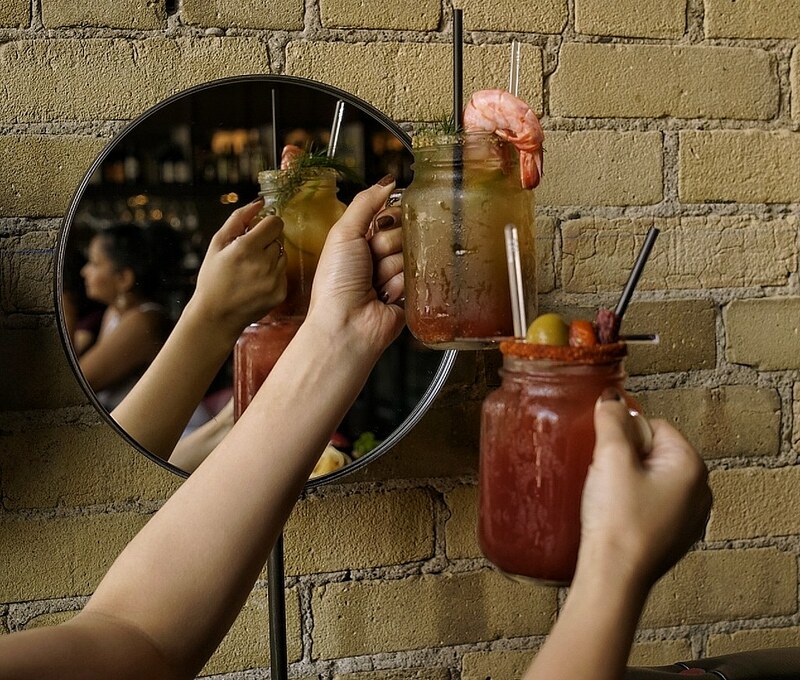 As an iconic Canadian must, every brunch must begin with a caesar — it just tastes better that way! 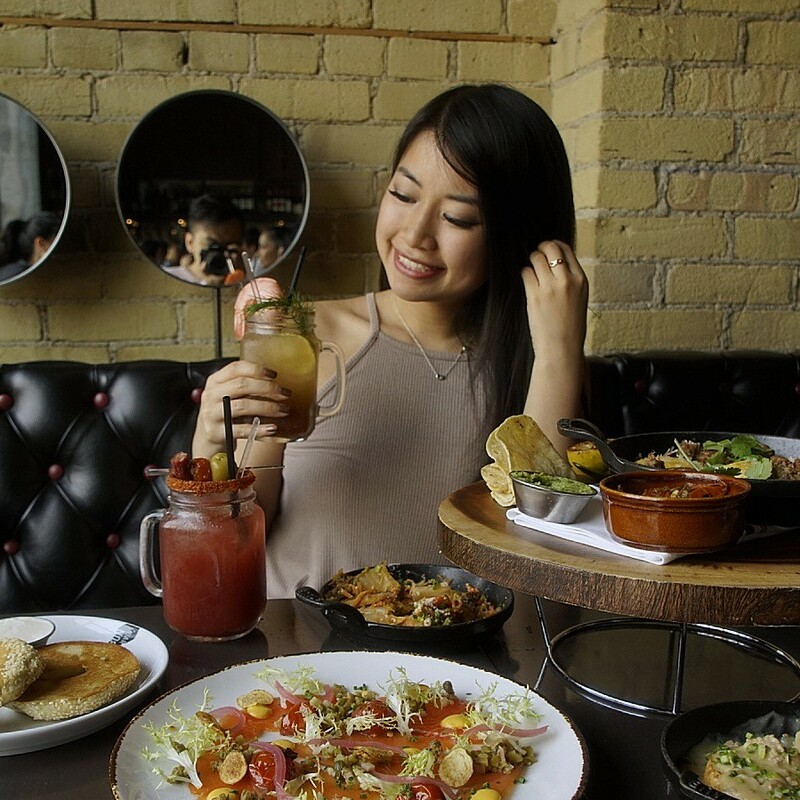 Carbon Bar, the spot on Queen East iconically known for their southern-style BBQ takes a whole unique approach on brunch food and drink-wise, spiking caesars with your choice of tequila, gin or vodka, then adorning it with creative rimmers and garnishes! 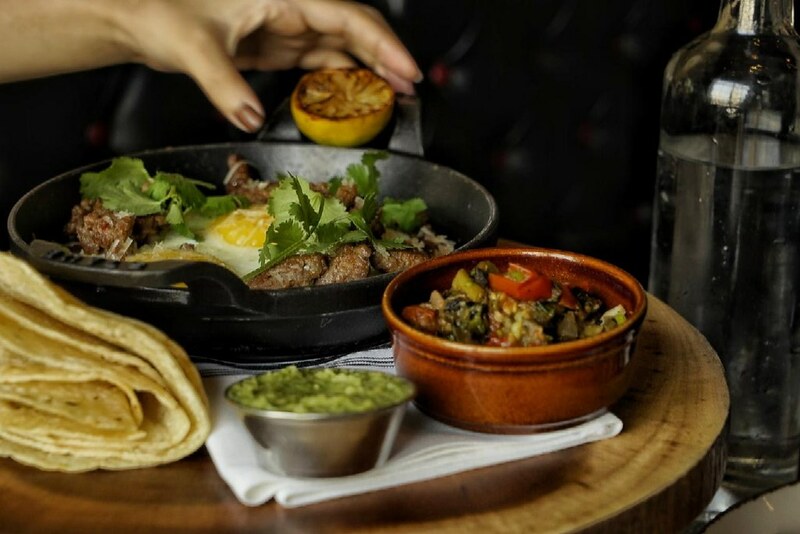 The Brunch Menu is available Saturday & Sundays, 10:30AM to 2:30PM. Prix Fixe menu serves you up any plate on the menu, bottomless tea/coffee, a pastry and chocolate bourbon skull dessert for $25 — a seriously good deal! 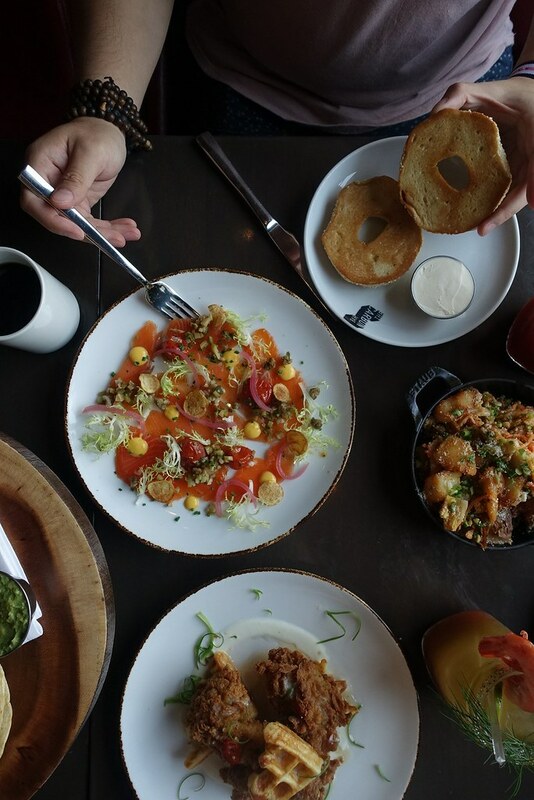 We were so very excited to dive right into the menu, featuring eye-catchers like a Mezcal & Lime Cured Salmon, Buttermilk Fried Chicken and Huevos El Carbon… (Yum!). There’s also a Buttermilk Pancake to serve up your sweet tooth, or, literally named, “The Healthy Option” if you’re going light! No sweet tooth for us, we selected all of the savoury dishes. And the way that our server described the Chicken ‘N’ Waffles, we could not pass it up. 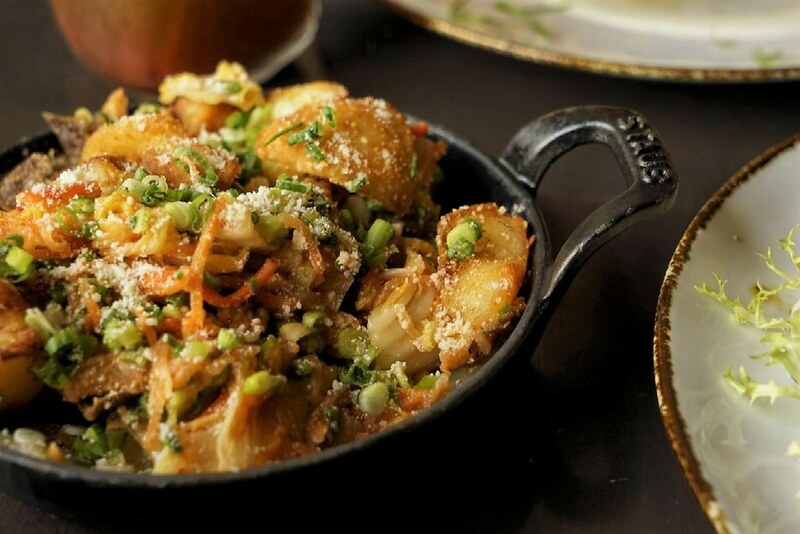 Savoury side dishes are also on the menu, there’s a favourite pick with that! Of all of the dishes we tried, the two standouts were Chicken ‘N’ Waffles and Smashed & Fried Potatoes. 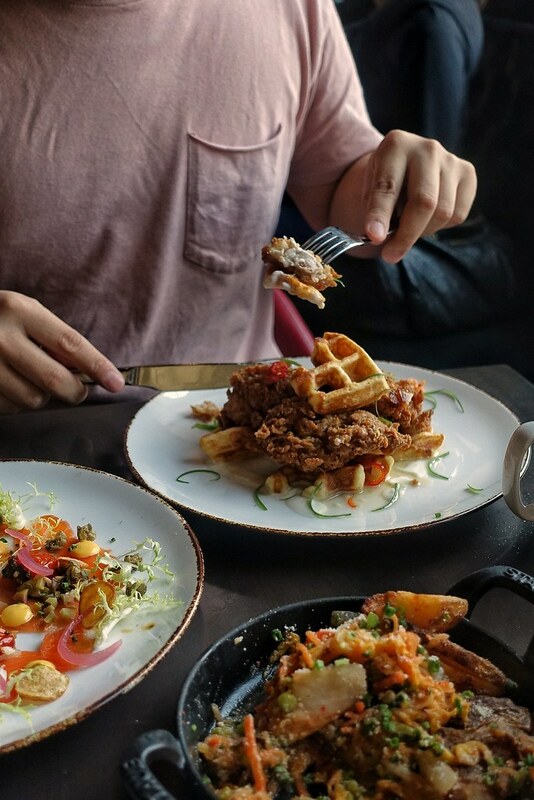 There was just something about the waffle that tied each crispy bite together, and the combination of citrus crema, honey, garlic sauce and hit of chilli was perfect. As for the potatoes, this has to be the first time I’ve ever plead for more potatoes — usually it’s the opposite way around, it was highly addictive. A close second for a ‘plate’ is the Mezcal & Lime Cured Salmon which was very creative, laid out on the plate like a carpaccio, and all of the elements to make a tangy bagel bite! 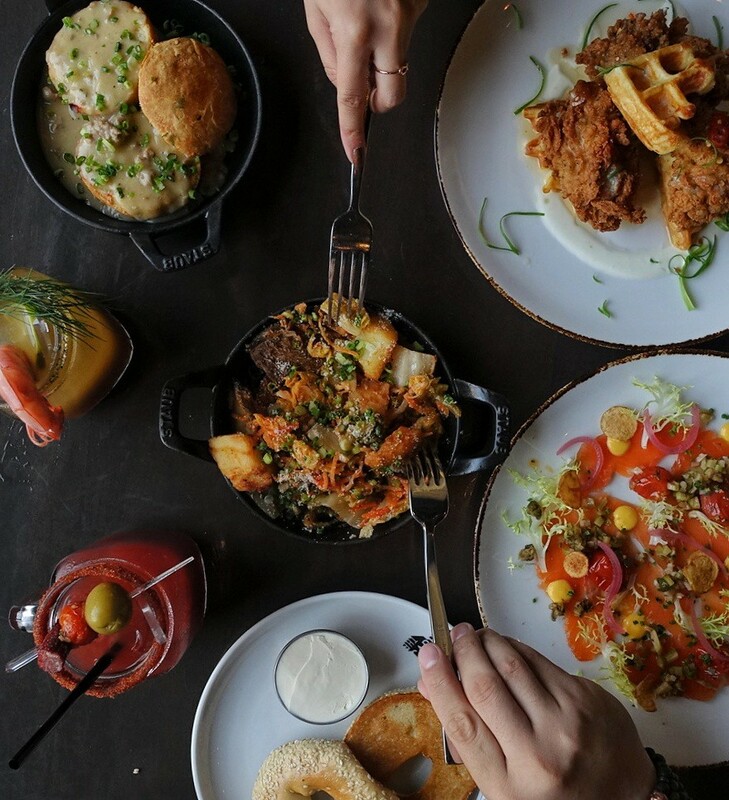 For brunch, you’ve got to venture to Queen East and try Carbon Bar’s Prix Fixe menu. You will not be disappointed with the price and options, I guarantee it!